Mercury’s owner, Hilary, is a newcomer to town who has enrolled her daughter in riding lessons. When she brings Mercury to board at Windy Hill, everyone is struck by his beauty and prowess, particularly Viv. As she rides him, Viv begins to dream of competing again, embracing the ambitions that she had harbored, and relinquished, as a young woman. Her daydreams soon morph into consuming desire, and her infatuation with the thoroughbred escalates to obsession. At once a tense psychological drama and a taut emotional thriller exploring love, obsession, and the deceits that pull a family apart, Mercury is a riveting tour de force that showcases this “searingly intelligent writer at the height of her powers” (Jennifer Egan). I understand the desire to renew passions that had been put on a shelf when life intervened. I really do. I used to act in 5-6 plays a year, and have done exactly "zero" since I found out I was pregnant the first time (over 20 years ago). Now, the kids are grown or at least old enough to do for themselves. But we live in a rural setting and there are two chances for participating in live theatre at all - being slim and none. So, I like to think I understand Viv, and her desire to return to an activity for which she had talent. But the woman is whack. Maybe not "Kathy-Bates-in-Misery" whack, but Viv is definitely heading down that road. It's bad enough that she starts spending more time with Mercury than with her husband and children. But she doesn't own the horse, and begins to get testy if anyone else shows interest in riding or caring for the animal. She lies to her husband in order to spend more time with the horse. Trouble is, someone has been riding Mercury on the sly...and covering their tracks because they know of Viv's jealousy. But one night, said person does not put everything back the way they found it, and people think there has been a break-in. Viv thinks harm is meant to Mercury and takes some pretty extraordinary steps in defense of and to protect 'her' horse. And so the stall muckings hit the industrial-sized fan. There's a great psychological element to Mercury (the book). It's like a movie thriller, where either you know what's coming, or suspect what's up based on the mood of the music. You want to look away but just ... can't. Who says you have to look to the federal 'alphabet agencies' for intrigue? 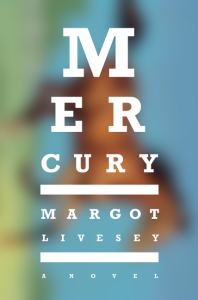 Margo Livesey has packed enough drama into Mercury to satisfy the most ardent thrill-seeker! Margot Livesey is the New York Times bestselling author of the novels The Flight of Gemma Hardy, The House on Fortune Street, Banishing Verona, Eva Moves the Furniture, The Missing World, Criminals, and Homework. Her work has appeared in the New Yorker, Vogue, and theAtlantic, and she is the recipient of grants from both the National Endowment for the Arts and the Guggenheim Foundation. The House on Fortune Street won the 2009 L. L. Winship/PEN New England Award. 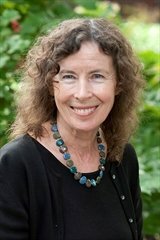 Born in Scotland, Livesey currently lives in the Boston area and is a professor of fiction at the Iowa Writers’ Workshop. Click on the button to go to the tour site, where you will find links to many more reviews of this title! 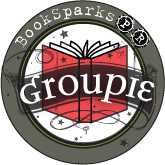 You can also find out how to become a blog host for future book tours while you are there! I know that desire for rediscovering old passions later in life ... I'm feeling it myself recently. But WOW I don't want to go down Viv's road, that's for sure!